William "Billy" Hiott Dean, Jr. Celebrating the life of William "Billy" Hiott Dean, Jr.
Be the first to share your favorite memory, photo or story of William "Billy". This memorial page is dedicated for family, friends and future generations to celebrate the life of their loved one. 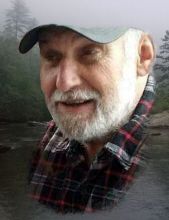 Obituary for William "Billy" Hiott Dean, Jr.
William “Billy” Dean, Jr. 65, of 180 Dean Rd, Westminster, SC went to be with his Lord and Savior on Tuesday, Feb. 5th, 2019. He was born July 21st, 1953 in Oconee County to William Hiott Dean Sr. and Rachel Gibson Dean. He was a Biological waste water treatment operator by trade. Billy loved hunting, fishing, golfing and playing pool. He was preceded in death by his parents, William and Rachel, he is survived by a daughter, April Dean, brothers, David and (Beth) Dean, Ronnie and Johnny Dean, sisters, Dianne and (Kenneth) Walker, Susan and (Jerry) Walters, grandson, Lucas Dean, a granddaughter, Jordyn Tippett. Funeral Services will be held 12:00 Thursday, Feb. 7th, 2019 at Brown-Oglesby Chapel with Preacher Shawn Street officiating, with burial to follow at Oconee Memorial Park. The family will receive friends one hour prior to the service at the funeral home. Brown-Oglesby is assisting the family. To send flowers or a remembrance gift to the family of William "Billy" Hiott Dean, Jr., please visit our Tribute Store. "Email Address" would like to share the life celebration of William "Billy" Hiott Dean, Jr.. Click on the "link" to go to share a favorite memory or leave a condolence message for the family.